I didn't know that my cruel blogmaster Mr. Marty was going to visit a used bookstore in Peoria this week, because I had the very same idea in my hometown of Chillicothe. Waxwing Books is one of my favorite hangouts in town, if that gives you any indication that Marty, as well as Charlie Sheen are having way more fun and excitement in their lives than me. But that's okay. I've had my fun and my entire life since school days has consistently revolved around two things: books and records. When I moved to Chillicothe it broke my heart to purge myself of my record collection and most of my books. Many of my records have found good homes thanks to my friend and fellow MBIP blogger Bob Gordon, who owns ACME Comics and buys and sells used record albums. But happily I can still visit some of my old books with just a short walk from my house to Waxwing Books. They are waiting patiently on the shelves for loving, smoke-free, climate controlled homes to take them in and care for them like I did. Old Chillicothe Carnegie Library building entrance, which is now Waxwing Books. 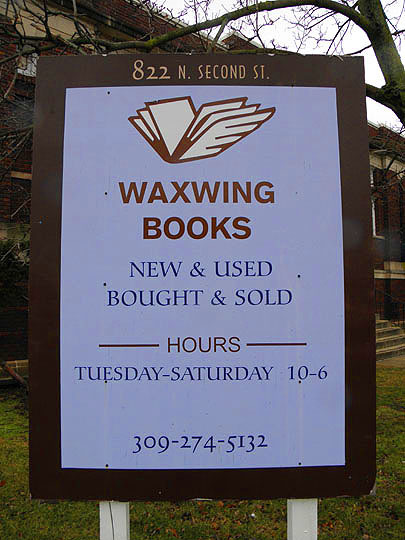 Waxwing Books is owned and run by Richard and Wendy Popp. And unlike some bookstores in the area, you won't find the Traci Lords biography on the shelves or anything like it. Not because of policy, but because they just don't show up. Waxwing has a good variety of books, however, and for some reason does a lot of business in religious and engineering books. Also, local history and collectible books. 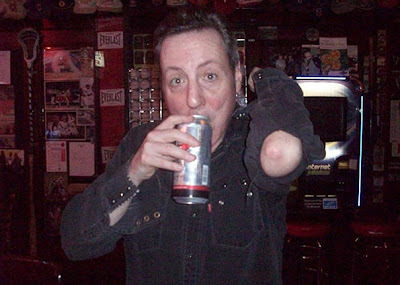 They do have some odd stuff, but not odd enough for Marty. The Popps came to town from South Dakota. 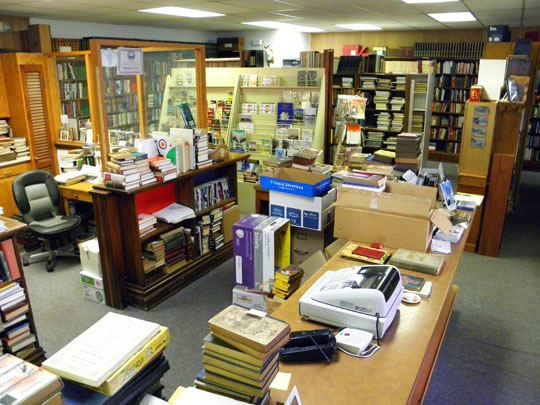 They were selling used books on-line, but had acquired a 20,000 volume collection. That meant taking the next step and opening a bricks and mortar store. 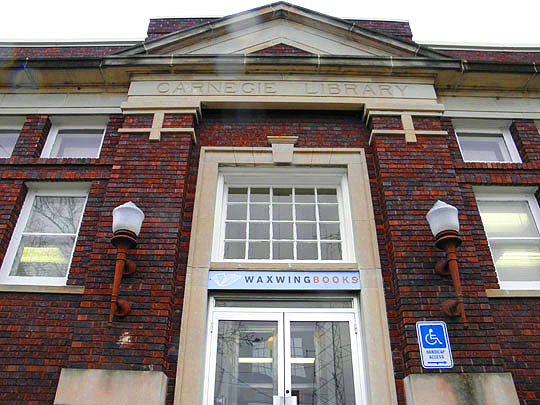 Wendy learned through a relative who lived in this area that Chillicothe had just opened a new library and was looking for a buyer for the 1916-vintage Carnegie library that was now vacant. In short order, a deal was struck and a semi-trailer full of old books made the journey east to the town "where the river meets the rails". The store opened in the spring of 2005 and my books soon joined thousands of others on the shelves. Most of Waxwing's sales are on-line, but they get a fair amount of foot traffic and some regulars, like myself, who seem to be buying back their collection one book at a time. The bookstore is a great place to browse and to hang out in. The Popps have more books in their building than were ever in it as a public library, so they can be somewhat selective in what they choose to buy from walk-in traffic. They know what there is no market for at any price. Business is steady. Attics and basements seem to get cleaned out here every week. This shot represents just one quarter of the book store. Another benefit to owning the building is that Richard and Wendy live downstairs. The bookstore is just north of the old downtown so they are within easy walking distance of great pizza, a couple of bars, gunshop, bicycle repair shop, hair stylist, tattoo parlor and other establishments necessary to keeping a small town ticking. When Richard and I get together we don't talk about girls and cars. Or bow-hunting or bass fishing. We're more likely to talk music (all kinds), history (local or beyond Mayberry), or books (again, all kinds). Seems dull, but not our conversations. Really. And then, when my mouth gets dry from talking, sometimes I walk home, other times I hop in my MG Midget, and head to the River Beach Pub for a pint or two. But that's another story for another time, for now let’s take a look at some of the unique books housed within Waxwing Books. Thought I'd pick this book up for Marty. Smallest book in the store. Teddy Roosevelt 1904 Presidential campaign promo. The teeny-tiny Teddy book cover. This vintage book promises shapely pin-ups! Here's a book from local authors, Jerry Klein and Jack L. Bradley. Look like the lusts of prairie preachers were often unfulfilled. Rumors have it that they're making a Midwestern reality show based on this premise. You can never have too many books about nurses. And you probably don't have any of these. Aladdin or the Wonderful Lamp. All of the illustrations depict Arabs as Chinese. Baffling and strange! You think your boss is a cruel tyrant, try working for Senorita Satan! Further Reading: Illinois Circle, facecrack and Turas. 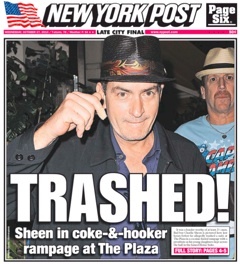 It'll be a POP publication, tougher than tough.